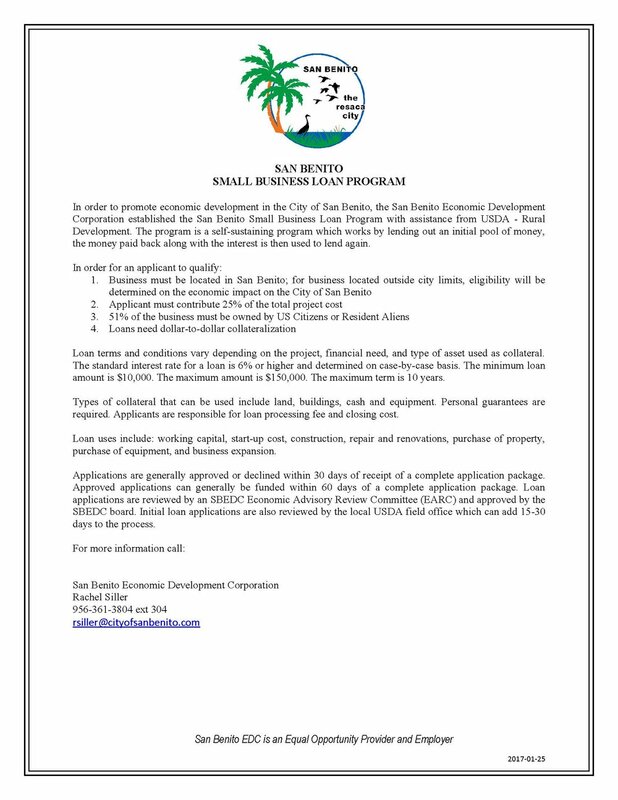 Funding for Fiscal Year 2017-2018 has concluded for the Downtown Commercial Facade and Downtown Rent Subsidy Grant Programs. Future funding opportunities will be posted when they become available. The Tax Increment Financing Act (Chapter 311 of the Tax Code), provides for municipalities to create 'reinvestment zones' within which various public works and improvements can be undertaken, using tax increment revenues, bonds or notes, to pay for those improvements. At the time an area is designated a reinvestment zone (TIRZ) for tax increment financing (TIF), the existing total of appraised value of real property in the zone is identified and designated as the 'tax increment base'. Taxing units levying taxes in the zone during its life are limited to revenues from this base. 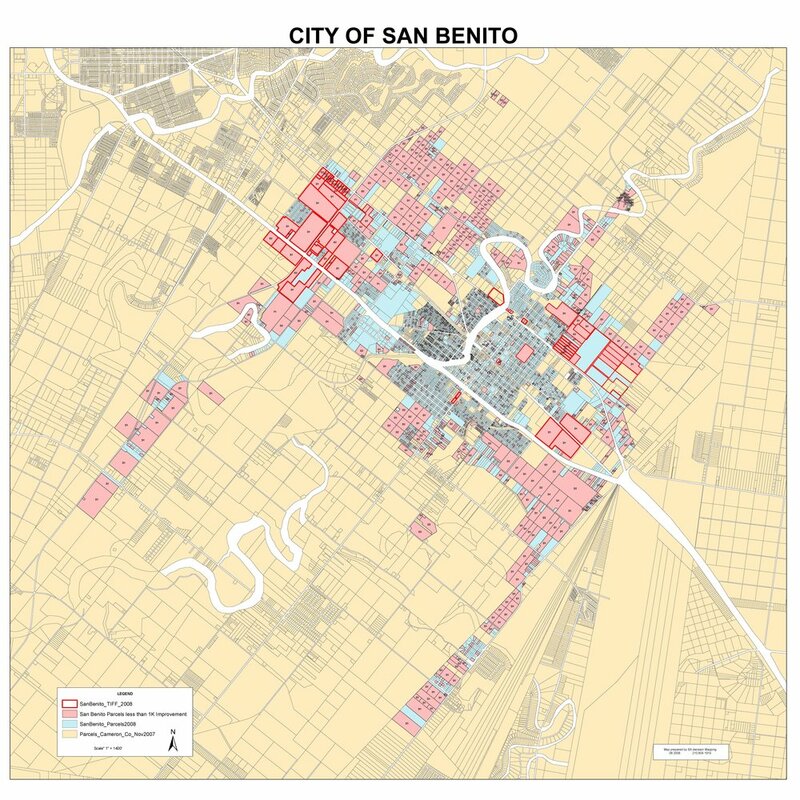 The City of San Benito established Tax Increment Financing Reinvestment Zone One in 2009, which expires in 2023. 1. Funding for necessary public improvements associated with needed development and redevelopment in the city. 2. Replace low value existing land uses with high value commercial, industrial, single and multi-family land uses. 3. Offer employment opportunities and reduce commuting time for San Benito and Cameron County residents. 4. Help to balance population growth in Cameron County. 5. Provide a more efficient use of existing city and county services and infrastructure. 6. 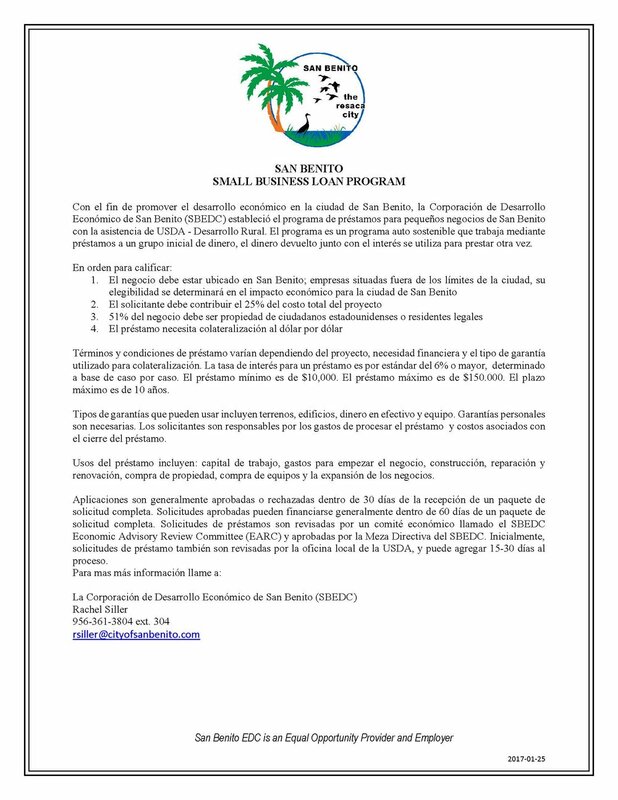 Help to address structural imbalances in the San Benito economy and housing market. The Project Plan identifies several public improvements that may utilize the TIF funds.